Last Thursday, I suggested to my colleagues that we shall have the very last banana leaf rice meal at our favourite spot on Monday (which is today). But hell no. We received a call on Friday morning and asked us to report to our new places immediately. It was like ASAP!!! Panic attacked and our last banana leaf rice lunch was then gone. 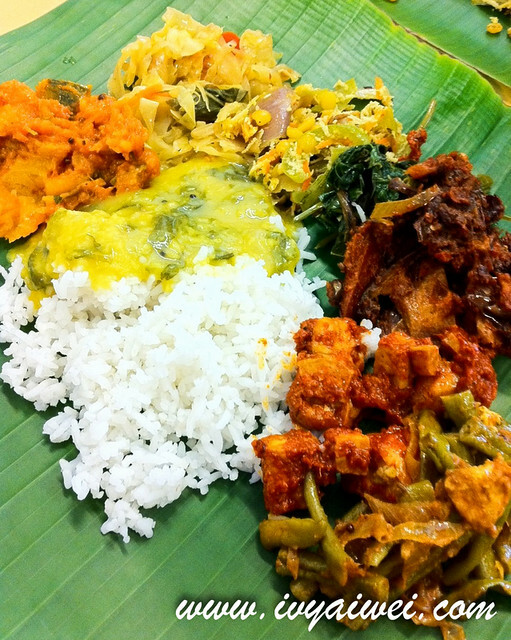 Banana Leaf Rice is the traditional Indian vegetarian dish. White rice is served on a large sheet of fresh banana leaf and the staff will start pouring in assortment of vegetarian curry dishes onto it. Finally the rice will be drenched with some curries of your choice. Curry Leaf Restaurant is one of the famous banana leaf rice places in Seremban, and a place I would frequent with my colleagues on Mondays. If you are ordering their banana leaf rice (Rm 6.50), you will get 7 vegetarian side dishes which are very well spiced and flavoured such as slow cooked pumpkin, cabbage, bitter gourd, spinach, super spicy brinjal, spicy tofu (yes, I named them both with super!) and long beans. I love most of them and will usually ask the staff to put more spicy brinjal and tofu on my plate/leaf. And then I will go for their dhal and chicken curry. Sometimes, we will order masala fried chicken to share among us. 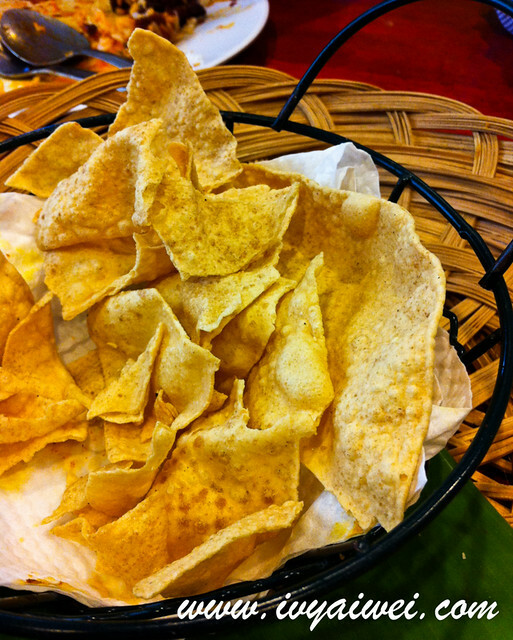 Not to forget the papadum, the crispy addictive side dish that is great to go with the rice. The best part of the papadum is… free flow!!! If you find banana leaf rice is pricey , you can always opt for their “economic rice” type from the food counter. Pick 3 choices (depending on the amount also) from the food counter, it just costs roughly Rm 3.50 – Rm 4 for your plate of rice (with vegetarian dishes lar). One of the vegetarian dishes, the fried bitter gourd was very well battered and addictive. Garlic Naan and Cheese Naan are pretty huge and fluffy too. However, I have yet to try out their Tandoori chicken. By the way, they do have an outlet in Damansara Uptown. Ahhh, I am supposed to have the banana leaf rice today!!! You come to Seremban quite often? 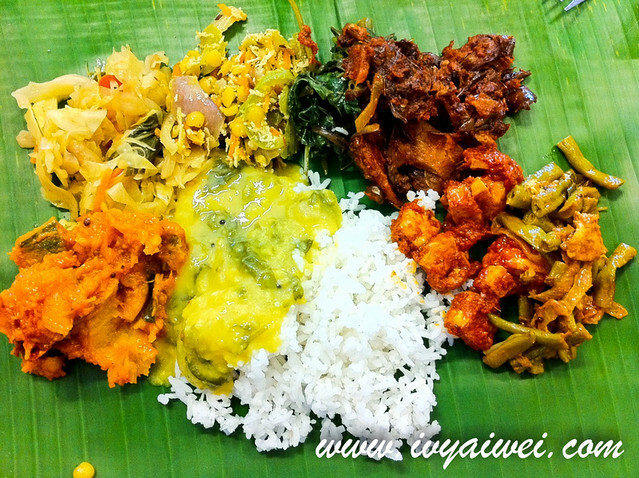 I also love the banana leaf rice at Curry Leaf, we used to go there very often when we were still living in Seremban. Heard they opened a branch in Damansara, maybe u can go there now instead. On Friday 23/08/14, I decided to have lunch at the Curry Leaf, Seremban and ended with a bad experience. I had ordered the customary ‘fish head” which eventually came. As the dish was hot , we kept nibbling at the vegetables at the top and the exposed bones . However, when I took the first mouthful of fish, I realized it was OLD and the smell was quite distinct. As I am a regular when it comes to fish, I know the difference immediately. I returned the dish. I had a shock when I went to pay. Whist at the counter, a staff was writing out my bill and when he came to the fish head he hesitated. Immediately the lady behind the counter gave him a wink and a nod and he included it. Seeing this I protested to which she under her breath said that I had eaten the fish. At that time “the boss ” came and amended the bills saying he noticed that I had returned the fish dish. Service slow. Staff not friendly. Success may have gone to their heads!